During the last meeting of the Council of Cardinals, decentralization was one of the issues on the table, and the possibility of giving more autonomy to bishops’ conferences on some topics was also discussed. Pope Francis loves to talk about the notion of synodality. But in the end, it is he alone who always makes the decisions. After four years, his modus operandi can be definitively characterized as a decision-making one. This is not necessarily bad. The Pope has absolute powers, and he is called on to make decisions. Sometimes, making strong decisions, in spite of heated debates, is the only way to get the things done. Nevertheless, Pope Francis’s method has its cons. For example, ignoring the conclusions suggested in group consultations leads to the widespread conclusion that the Pope accepts the advice of those individuals with whom he speaks last, with the consequence that no one who participates in a group meeting with the Pope has the courage to raise proposals and defend his ideas. Both the month that has just ended and the one that begins today reveal examples of Pope Francis’s way of governing. The first example is about the future. At the end of the month, the Italian bishops will gather for their general assembly and will vote in a new president, after ten years of Cardinal Angelo Bagnasco’s leadership. By tradition, the President of the Italian Bishops Conference, as well as its Secretary, were always appointed by the Pope, as the Pope is the Bishop of Rome and Primate of Italy. At the beginning of his pontificate, Pope Francis asked the Italian bishops to change the praxis, to change the regulations for the election and discuss whether to elect their president themselves. It was not a new discussion. A similar one took place in 1983, and a vast majority of Italian bishops voted in favor of the direct election of the president. However, one year later, St. John Paul II informed the bishops that he preferred to retain the right to appoint Italian bishops numbers 1 and 2. It was a sign of attention and benevolence, and also the outcome of a fair discussion, during which each of the parties placed their ideas on the table with no fear. This did not happen when the Italian bishops had to change their electoral regulations following Pope Francis’s request. In the end, they decided that they prefer the Pope to choose their president, and they set in place a complicated electoral mechanism. During the upcoming assembly, any of the residential bishops can be elected, and the names of the three with the highest number of votes will be presented to the Pope for his choice. The Pope, however, is also free to choose someone not among these three. The fact that the Pope has complete power of choice will no doubt lead many to vote for candidates who are likely to be preferred by him. Until sometime ago, it seemed taken for granted that Cardinal Gualtiero Bassetti, Archbishop of Perugia, was the papal favorite for the post. All the clues indicate him as the likely choice: the fact that the Pope created him cardinal although Perugia is not a cardinalatial see; the fact that the Pope created him cardinal although he was Vice-President of the Italian Bishops’ Conference, thus casting him as a sort of rival to Cardinal Bagnasco; the fact that the Pope often met him in private audience on the eve of the general assemblies of the Italian Bishops’ Conference. But now Cardinal Bassetti has met with the Pope, and it seems that he told him that he does not feel fit for the post: he is 75 – one year older than Cardinal Bagnasco – and he does not feel capable to hold a managerial position, especially considering that his five-year term as President would end as he turns 80.
Who, then, is the Pope’s favorite candidate? This is what Italian Bishops pondered during the pre-consultation. And the response was unanimous: Bishop Filippo Santoro, of Taranto. Bishop Santoro is often in Rome for several reasons, and has a direct line to Pope Francis. There are many points in his favor: before he was named to an Italian diocese, he was a fidei donum priest in Brazil, and was then appointed Auxiliary Bishop of Rio de Janeiro and then Bishop of Petropolis. He was on Cardinal Bergoglio’s side at the Aparecida meeting of Latin American bishops. He comes from the so-called “left” of Communion and Liberation that always looked to South America and that made Cardinal Bergoglio its champion a long time ago – the journalists who are friendly to Pope Francis come from that same environment. Plus, Bishop Santoro is very active on social issues. Bishop Santoro would be Pope Francis’s first choice in the set of three that could be composed by a representative from each Italian region: Bishop Santoro for southern Italy, Cardinal Giuseppe Betori, Archbishop of Florence, and Bishop Franco Giulio Brambilla of Novara for northern Italy – the latter is also considered a candidate to become Archbishop of Milan. This set of three will represent all the parties within the Italian Bishops’ Conference, and would let the Pope choose a bishop he already likes. If the Pope does not like the set of three, he can make his own choice. The second example concerns the controversial story of the Knights of Malta, who gathered last Saturday to elect the Lieutenant, who will lead the order for one year with the powers of the Grand Master in other to carry forward reforms. Beyond the internal struggles in the Order that resulted in a series of internal dossiers and counter-dossiers plus letters leaked to newspapers, the way Pope Francis tried to resolve the issue is striking: he met with all the parties, he appointed a Papal Delegate, thereby de facto freezing for a period of time the work of the Patron of the Order of Malta, Cardinal Raymond Leo Burke, as a liaison between the Order and the Apostolic See, and he convoked the Grand Council on April 27 for a confidential meeting in the Vatican in order to explain his priorities. It is clear, then, that when the Pope wants things to be done, he intervenes personally, and no collegiality issues are even discussed. One might say that Pope Francis perceives his role as that of a guarantor, committed to getting things done, and getting things done his way. This is the way Pope Francis behaves on every issue. It is noteworthy that he took part personally in a meeting of the Institute for Religious Works called to announce the new General Director, thus emphasizing the way he wanted things done. It is also noteworthy that the Pope takes part in every meeting of the Council of Cardinals, and in every meeting of the Council of the Secretariat for the Synod of Bishops. He never speaks out, but he asks a lot of questions. Nevertheless, every question is asked for the sake of the decision that he will make. And this decision is always a solitary one. Whenever there is a meeting in the Vatican, it is guaranteed that the Pope will show up in order to add his weight to the issue. This presence is a sort of moral suasion with the aim of making everyone work the way he wants. Pope Francis’s decisiveness obviously makes room for those who exploit the so-called “will of the Holy Father” in order to go beyond what he really means. In the name of this “will of the Holy Father”, a series of “rupturing decisions” can be made on all fronts, and this is what happens when these self-proclaimed interpreters of the Pope’s thought go to the media and create a narrative that actually injures the pontificate. This is what happened, for example, during the last Synod of Bishops that resulted in the Media Synod and the Real Synod, just as there was a Media Council and a Real Council, as Pope Benedict XVI put it in reference to the Second Vatican Council. There is, perhaps, one difference between the Synod and the Council: the guarantor in the case of the former was not encouraging unity, but rupture. Let’s be clear: this does not mean that Pope Francis wants, in the end, to break with doctrine. 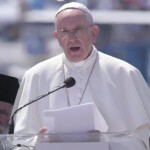 It is hard to describe him as a progressive, as his presumed progressivism is in fact filled with traditional issues, some of them even old-fashioned, like that of the Church as the “Holy Hierarchical Mother” (which is at the basis of Pope Francis’s decisiveness) – or as in the case of his push for popular piety. That Pope Francis wants a new, groundbreaking field hospital for the injured, and not a Church enshrined in “we have always done it like this” is clear from his own words, the latest ones in a speech delivered to Italian Catholic Action. 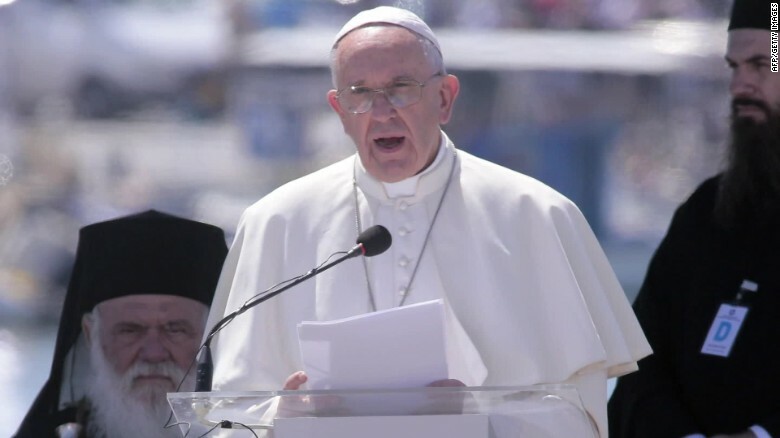 The fact that the Pope will have met with Italian Catholic Action twice in four days, despite the trip to Egypt, shows that he also wants to give a clear direction to the commitment of laypeople. What is the Pope’s final goal, and what is the risk? There is one bitter analysis delivered during the recent conference in Rome, “Seeking Clarity: One year after Amoris Laetitia,” by Professor Anna M. Silvas, an Eastern-rite Australian who studies the Church Fathers. This is what the Church has been experiencing so far, and it has had a particular explosion during the last years. Pope Francis’s decisiveness, in the end, seeks to keep the processes open. This pontificate still bears with it the spirit of modernity, while the way to confront it – the Benedict option – has become a widely-supported criterion. This issue of modernity, that is, the issue of change, is applied by the Pope both when he has to choose those who must take care of bishops – as in the case of the President of the Italian Bishops’ Conference – and when he wants to reform one of the Church’s most ancient institutions – as in the case of the Order of Malta.